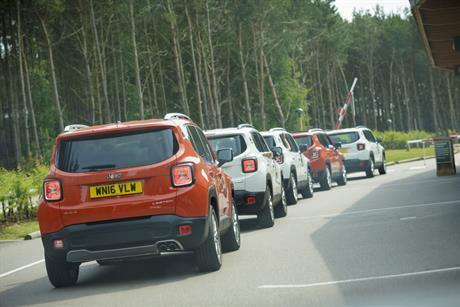 Automotive brand Jeep held its 75th Anniversary Post Course Review at Center Parcs Woburn Forest last month. 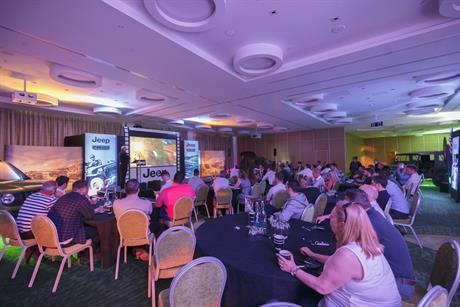 Held from 6-9 June for 162 of Jeep’s sales and service advisors, the event was organised by Tebays and needed to be staged at a central location to accommodate guests from all over the country. The occasion was a celebration of Jeep’s 75th Anniversary and was designed to be engaging and interactive, incorporating the delegates. It needed to provide the Jeep team with the opportunity to re-engage with the customer-facing personnel, creating a highly motivational event as part of the anniversary. The event ran over three days, with different delegates attending each day. However, the content for each was the same. The eight rooms in The Venue at Woburn Forest were used to their full potential, housing eight cars and four sets to demonstrate four eras in Jeep’s history, including the actual Jeep used in the filming of The Dukes of Hazzard. Each room in the venue contained a Jeep, which required skill and organisation to manoeuvre them into position, using appropriate equipment. In addition to plenary sessions and Jeep history lessons, delegates got the chance to drive offsite around Woburn Safari Park and Millbrook. A full day setup on the Sunday was required to give enough time for the cars to be delivered by transporters, to slide the cars into place and set up all the props. This also had to be considered for the de-rig of the event. Guests also enjoyed lunch in the venue’s American Diner and a gala dinner. Overall, delegates gave a satisfaction score of 4.91 out of 5, with many guests praising the interaction and creativity of the event. 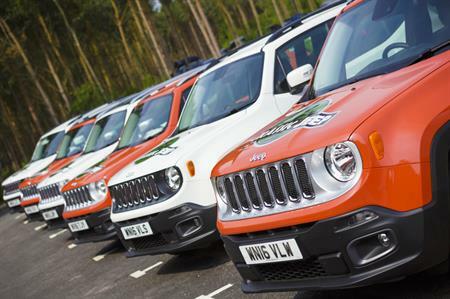 Terry Good, representative at Tebays, who organised the event for Jeep, said: "Center Parcs understood our needs perfectly, from all the communications leading up to the event to the quality of the food and drink, and the reception we received on the day. The team leaders and the staff should be recognised as true ambassadors for Center Parcs - they are a credit to the company."